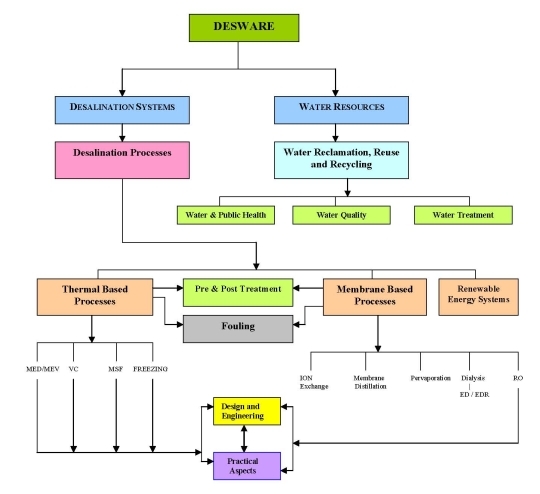 DESWARE is a stand-alone encyclopedia focusing on the specific topics of desalination and water resources developed in parallel with the main EOLSS project. The desalination community has long needed a rich archival source of knowledge of the science, technology, and management experience available for the design, operation, and maintenance of desalination plants. Linked to this are the problems of water supply that often precede the decision to install desalination plants. 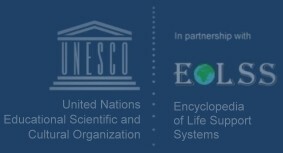 The encyclopedia presents a detailed and comprehensive coverage of these interdisciplinary subjects for the first time. The list of contents of the encyclopedia has evolved through special international workshops held in July and November 1995 in Bad Soden (Germany) and Abu Dhabi (UAE) respectively. The subject matter is presented at various levels to make the encyclopedia accessible to as wide a readership as possible. Of general interest are background information on historical development, trends, and regional demands. For the specialist there are more in-depth features on latest advances and research and development requirements.